The current pattern across Europe is becoming quite dynamic as a deep trough pushed into the unsually warm Mediterranean last night. The trough is transforming into an upper low today. 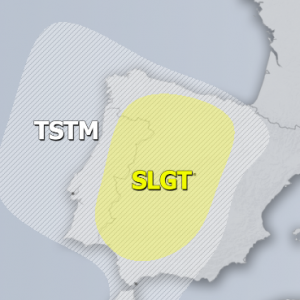 This will be the focus for dangerous weather this week, with locally huge amounts of rainfall across the southern Mediterranean region and therefore an enhanced threat for damaging flash floods and landslides. Today’s pattern across Europe indicates a strong upper ridge across the eastern Atlantic and western Europe while a deep trough is pushed across the Scandianvia into the northeastern Europe. A pronounced upper low develops over the Mediterranean with an associated surface cyclone / frontal system slowly moving south towards the northern Africa. On Thursday, the ridge across the western Europe expands also into central Europe as a deep trough over the eastern Europe ejects into the western Russia. 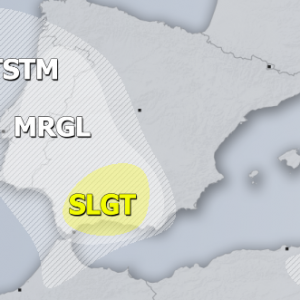 An upper low pushes over the southern Mediterranean. The overall pattern will be conductive for severe weather, especially an extreme amount of rainfall resulting from both convective and orographic rainfall. Various models (GFS, ARPEGE, ICON-EU, HRRR) suggest locally 150-300 mm or even more rainfall will be possible until Friday evening (72 hours period) across parts of southern Italy, including Sicily and Sardinia, as well as Malta, northern Algeria and Tunisia. Such amounts of rainfall are likely going to produce flash floods and dangerous weather conditions along the complex terrain. The extreme amount of rainfall will result from severe storms developing in moderately sheared and unstable southern Mediterranean region. Here are 24-hour rainfall accumulations simulated by www.youmeteo.com model. Stay alert for dangerous flash floods conditions and stay tuned for further updates!